Behind every successful man, there is a woman, goes the proverb, but whoever says that it does not work both ways? 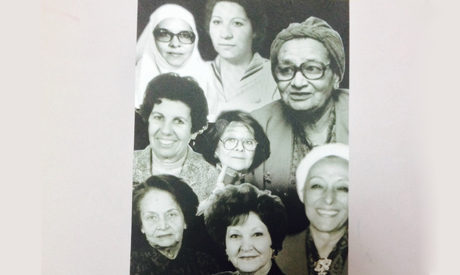 In one of their publications, titled Sounds and Resonance, written by Amal Abul Fadl in 2007, the Women and Memory Association featured the life of eight extraordinary women- stars in their own realm. From the well established physician, to the pioneer in social work, are women that defied tradition, barriers and managed to excel at home and in their work fields. But what's most interesting about the mini biographies compiled is that they all highlight the male figure behind their success. Be it from a father or a husband, a genuine sense of equality and freedom started at home for these women. A fact that challenges the popular belief that empowering women means addressing women in isolation from their male counterparts, the aim is in fact to create a gender balanced society. Out of the eight women interviewed, Abla Fadila stands out. Known to date for her 'friendly voice' she was the first woman to tell stories on the radio as a replacement for Baba Sharo. She was the first to call for taking workshops in story telling for children so that she has a background in what she is about to give. Brought up in a 'democratic home', her father was a key figure in shaping her personality. "He believed in the importance of education, socialisation with neighbours and jobs for women," she remembers. Abla Fadila's soothing voice started emerging on the radio in the early sixties. Generations of children grew up to listen to her daily stories accompanied by a song. She was married in 1966 and soon managed to become the head of the general program. Her secret was the power of love- one thing she learnt from dealing with children. "Treating children successfully requires a lot of patience and love, and I applied the same methodology on grownups and it works," she commented. Nazli Qabil is another star in the realm of social work and nursing. She is also the only Arab woman to have attained the Florence Nightingale award from the international Red Cross and the medal of excellence from the International Civil Society Federation. After finishing high school, she attended the only nursing school in Egypt at that time. Despite the fact that her father passed away when she was very young, his influence extended throughout her life. She describes him as an honest man who appreciated social work and volunteered with the Ambulance Association when he was only 18. So she was thrilled to follow in his footsteps and work as a nurse in one of Egypt's rural areas, Al Marg. She was quite popular in Al Marg with her focus on women and children and her long quest to upgrade their health status and boost their awareness over a period of 19 years. In the mid eighties she was elected the head of the nursing syndicates and was also selected as a member of the Red Crescent. ''I give credit to my mother, and my father's presence, despite his physical absence, as well as to my husband. It's true, behind any successful woman, is a great man." Are these women simply explaining that unlike the popular belief behind the empowerment of women, it should always include men? Nazli Qabil - such wise sentiments expressed by this lady. Interdependence = harmony. Thank you english.Ahram for such an interesting article and for bringing these women to my attention, whom I would otherwise have known nothing about.